YouAppi, a leading mobile growth marketing platform for premium mobile brands, announced the results of a comprehensive survey that evaluated US consumers on their personal holiday shopping habits and preferred mobile holiday experience. The survey also questioned global digital marketers, advertisers and app developers on their 2017 mobile holiday preparation and campaign plans. While 95 percent of businesses see the holiday season as an important opportunity, the survey demonstrated an interesting chasm between mobile marketing activities and consumer preference, including when consumers find holiday promotions most effective and desired payment choice in a mobile environment. According to business respondents, the holidays are an important source of revenue and mobile tops the list for engaging with consumers. Surprisingly however, businesses are getting started on their holiday outreach earlier than consumers want. Over half of consumers say they are only interested in holiday themes and offers after Thanksgiving, yet 68 percent of businesses start well before that timeline – some as early as August and September! Marketers and advertisers also approach mobile purchasing differently than their customers, with 60 percent of businesses preferring in-app purchases for the holidays while only five percent of consumers do. And while 54 percent of consumers say they will watch rewarded video for added holiday perks, only 20 percent of marketers are choosing to include it in their holiday campaigns. 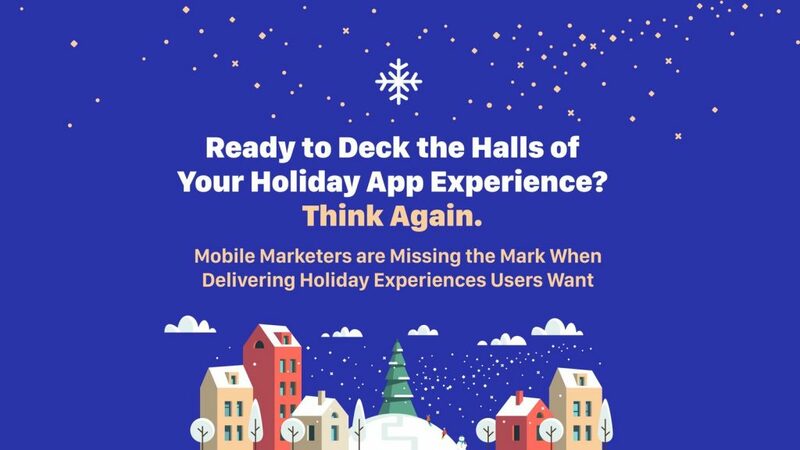 To help marketers better prepare and execute successful holiday campaigns, YouAppi has created a free guide, entitled It’s the Most Mobile Time of the Year. The survey was conducted by Dimensional Research and includes responses from 217 mobile app owners and digital marketers from around the world, as well as 533 individuals in the United States who use their mobile device for shopping.